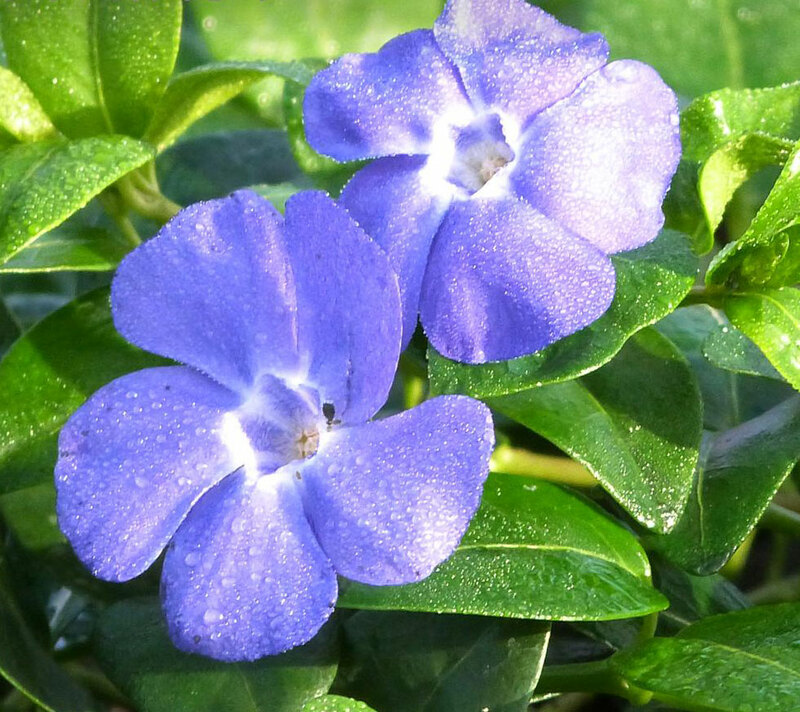 Miniature version of Vinca Major, with flowers to 1 in. wide and a height of 4-6 in. More restrained, less likely to invade adjacent plantings. White-flowered and variegated forms are available.